Capcom's third person adventure heads to the 3DS eShop. Despite months of speculation and fans begging for info, Nintendo has remained mum about the 3DS eShop. There's a rumored May release, as well as a possible launch featuring the Game Boy classic, Super Mario Land, but that's it. Capcom, on the other hand, refuses to keep quiet. The publisher made the shocking announcement that Mega Man Legends 3: Prototype Version will in fact be an eShop launch title, giving fans a small taste of the upcoming open world adventure starring Mega Man Volnutt. Users will be able to play as Barrett, a new character to the Legends series and leader of a sky biker gang. The newest video (see below) showcases him in action as he rides his hover bike through a presumably peaceful town. 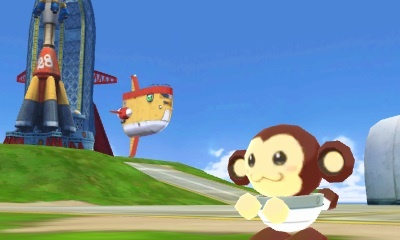 In addition, players will receive access to unfinished parts of the game and a debug menu that lets them enjoy special moves and abilities, but first, they must beat the core missions. If you're in the dark about Mega Man Legends 3, don't worry. Capcom hasn't revealed many details, though it's without question one of the more ambitious games in history. Announced last year, the game is a collaboration between Capcom staff and fans, under the tag line, "Legends aren't born, they're manufactured." 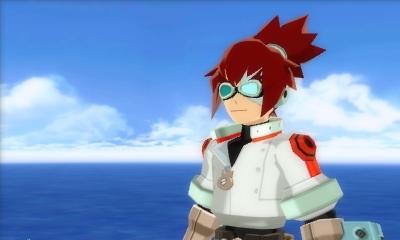 Dedicated players can sign up via the Mega Man Legends 3 development site and take part in the game's design. In fact, they've been instrumental in the creation of new heroine, Aero, and Capcom has asked them to submit sketches for Tron Bonne's new mech. Then they vote to put these things into the game. There's even a forum thread for Easter Egg ideas; jumping on awnings sounds like a fun time. Suffice to say, it's an intriguing idea, one that'll hopefully translate into a surefire hit for 3DS. For now, though, it's all about Mega Man Legends 3: Prototype Version, and what impact it'll have when Nintendo finally debuts the long awaited eShop. Personally, we can't wait.